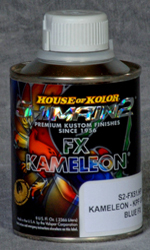 House of Kolor changed the face of the kustom paint industry with our revolutionary Kameleon kolors and pearls. 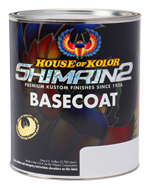 We've done it again with the new Shimrin2 FX Kameleon Series. Do you want kolors that change as you move around your vehicle? Amazing effects are yours with an increased palette of kolors. You set the tone with Shimrin2 FX Kameleons, whether you want subtle or dynamic color shifts.